Need some ideas for improving your cold email response rates? Here are more than 50 different split test ideas you can implement! There are two rules when it comes to split testing emails. You should ALWAYS be testing something (never send one version of an email). And you should NEVER run multiple tests in a single run. 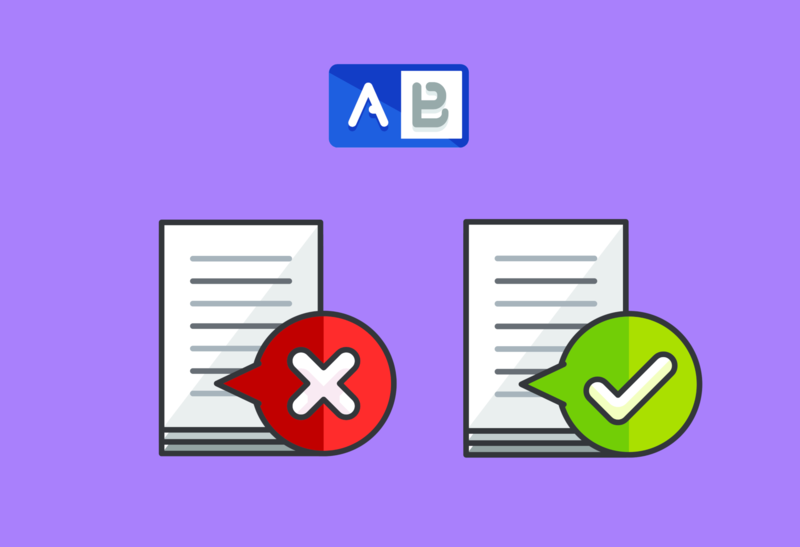 This post is meant to be a MONSTER list of split test ideas that B2B businesses can run with their cold email campaigns. We want to actually give you all the split test ideas you need to encourage and provoke you until you are always trying to test things. Let’s go over our two rules a bit then get into the meat of this guide. Pretty easy to remember, right? Always and Never. Again, you should ALWAYS be testing something, but make sure you NEVER test all kinds of things at once. Doing one thing at a time will help you know exactly what is working and what isn’t. The reason you should focus on one thing at a time? So you know specifically what worked and what didn’t. Keeping track of “winners” and “losers” in each test will seriously move the needle on all of the key metrics of your campaigns. However, if you try something in the subject line and also in the first sentence, how will you know which one made the positive or negative change? So, make sure you constantly run single tests to a batch of recipients and keep a good tally of the results. Our list is full of tests that are both self-explanatory and those that’ll need a bit of know how to pull off. For the more complex tests, we’ve included a bit of a tutorial as well as tons of bonus resources throughout. Hopefully, you’ll bookmark this post and really dig deep into your cold email campaigns. Now, onto the list of split test ideas. There is no shortage of advice on how to craft a great subject line, but no matter how cool the tips sounds — you should always test it. Bit of an obvious one here. The rule is usually shorter, but there are a lot of exceptions here. There is lot of research done on this very thing. Take a look at this screenshot from a study done by ReturnPath. 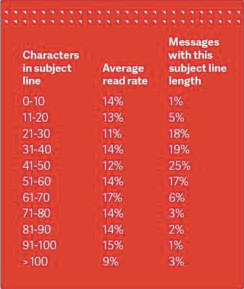 Here’s a great read from Campaign Monitor to help you determine your ideal subject line length. Writers (like me) always like to capitalize the first letter of every word in a title. That said, sometimes it’s not welcome. For instance, on Reddit, posts that capitalize every word typically perform worse than those that are written like a sentence. The more technical crowd seem to appreciate this. So, on one batch of emails try a test between something like, Your Staffing Issues are Solved, [First Name] and Your staffing issues are solved, [First Name]. 3. Subject Line Personalization with First Name: This one is fairly self explanatory. Try two variations of an email. One with the first name in the subject line aaannnnd the other without. Got it? 4. Subject Line Personalization with Company Name: Exactly like test number 3, but with the lead’s company name instead. 5. Subject Line Emoji’s: Millennials are beginning to make a ton of B2B buying decisions. And it turns out they still love emojis. Test away if your buyer personas skew in a relevant age group or industry. 6. Question in the Subject Line: People are (generally) trained to be nice for their job. If someone has a question while you’re on the clock, you’ll likely try to answer, right? Using the same logic in the email world could have a positive result. Make sure to use proper punctuation. That’s a far cry from the “you’ll never guess what happened next” click bait jargon that passes for entertainment nowadays. I digress. 8. No Personalization at all: Yea, we actually saw a positive result by not using any personalization at all (but we’re still testing :). 9. First and Last Name: It sounds like it might be too much, but there have been some claiming some decent results. MaryLou Tyler, in her book Predictable Prospecting, says so. Given her success and B2B-specific background, it’s worth a shot. Most people see a “re:” in front of a subject line and perk up. This is why we recommend pretty much every follow up people send has it. That’s just how effective it is (typically). But, as with many popular tactics, the appeal wears off. Everyday there are more people who say, “fool me once” to the re: tactic. Similar to “re:”, but not for everyone. Great for making it look like you’re forwarding a resource, but keep it on the up and up. The goal of a cold email is to start a conversation. Not close the deal immediately. So when structuring your email copy, you should be thinking about what is the most likely to result in a conversation. After the subject line, these are likely the very first words your lead will read. They are not a throw away line or filler. These little words can compliment or even change the tone of your email. If you start it with “Hey” or “Hi”, it’s less formal. Bump it up to “Hello” and things are definitely more formal. Just going straight for the name, and you’re dead serious. This is a great copy lesson, too. What tone are you looking to achieve? Start with the greeting. But also test the different greetings to see if you get a significant change in clicks and responses. You may even want to run a “Hiya” or “Howdy”. While it’s not for a professional appeal, there are some that could pull it off. Here’s a quick piece from Business Insider on the subject for further reading. Obviously this is based on your send time at the start of an email. And could even go as deep as looking at the typical open time. Do people in your target market open up the emails quickly, or is it random? This could dramatically affect how this test is received. You can also try variations like, “This morning, I…” depending on how you’re spinning your copy. Make ’em feel like it’s hot of the press. Usually, we shy away from this for two reasons. First, this line can be seen now before people open the email. Secondly, because they don’t care. But, how will you know, right? Let’s put in an example here. My name is Josh Slone and I recently put together a comprehensive list of the 10 biggest changes coming to [industry]. Want to see a list of the 10 biggest changes coming to [industry] this year? I put this comprehensive list together for companies just like…. 15. Negative Copy: Pointing out common mistakes made regarding your expertise is sometimes a great way to get opens. Can you turn your copy negative to highlight a pain point or common point of error? Give it a shot. Here’s a post we wrote all about pointing out a lead’s mistakes in order to generate conversation (email sequence included). If you’ve put in the time developing your ideal buyer profiles, you understand their pain. This can make a very good email test. Example: Is [Company Name] having issues with tracking the ROI of social campaigns? Including a link to your offer or hook in the email is common, but you’re not after casual readers as much as you are conversations. One potentially fantastic way to get this done is to offer the resource, but on the condition that the recipient tells you they want it. It’s worth a test. 18. Images vs no Images: For instance, if you’re sending a report, it may be helpful to include the image of the cover (especially if it’s well designed). Webinar cover graphic or even a related meme. Images may help, or not. Test. 19. Gifs vs no Gifs: Again, totally depends on your audience on whether or not to try this one. But gifs can smash into another sector of people’s brains and really make an impression. Just recently, I got a Black Friday email that had a pixelated turkey gif. Small, but made an impact on me. You’ll have to test. 20. Long Form vs Short Form: For cold emails, we suggest as short as possible nearly 100% of the time. However, there may be some instances that require more context to spark a conversation. One example *may* be an extremely short lead list. Most professionals want you to get to point, bullet point (see what I did there?). Anyhoo, let’s say you’re trying to get them to download a resource or something—you may have to sell what’s in it. Conveying that data via points may work better. 22. Video in Email: Almost didn’t make it in here. However, video is a giant that is only going to get bigger. While it hasn’t become to effective in the email game yet, I suspect it’s only a matter of time. Video sales pages are performing like gang busters, maybe video in your emails might. To help, here’s a post from Vidyard about prospecting with video in your email. This one will likely require an example. You want to be personable and never dry, but there are times when a more professional tone may get you better results. Government, for instance. In many cases Federal and State workers are so used to legal speak, it could benefit you to speak the same language. Here’s an example for such a case. Are you having trouble [insert problem here]? I have put together [resource]…. If you have an established comedic brand, it may be ok to joke. Our friends at Design Pickle use comedy in their emails and it’s hilarious. They say things like “Obey the Pickle”. Others are known for their no-nonsense, tell-it-like-it-is attitude. Finding a voice for your emails takes testing, but be careful and make sure you know where the vulgar, tasteless, rude, and other lines are. 25. First Name Twice vs Once: Saying your contact’s name is a good thing. Saying it more than once is usually better, but if you have a really short email, it could be a bit creepy for them. So…you’ll have to test it. 26. Company Name Twice vs Once: Same deal at number 25, just with the brand’s name instead of the contact name. In your test, send one email with the full title of the resource and link the actual text. In another, name the resource. But put something like, “You can download it right here.” The second is more of a call-to-action, but the first may surprise you. 28. Link to Content (case study, blog, etc) vs Opt-In Page: You can link directly to the content, or add another step in the process and link to an opt-in page. For instance, if you’re hosting a webinar. You could just send the link, but it would be better to put them in a sequence for the webby. Similar to test number 27, you can put two links to the same resource in an email, or (not recommended) include two CTA’s in your email. Whatever reason that makes you have more than one link in your email, it means that you have something to test. Invert the copy or pitch lines for the resource and see if more people bite. It’s the tedious fun of testing. One way of doing this is to send say 100 ridiculously customized emails Vs. a few hundred emails using personalization (e.g. first name, company name). 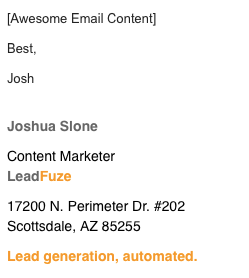 Although, one strategy we want to highlight is sending out your sequence’s first email (personalized), then look to see who has engaged (opened/clicked) and go into those leads and highly personalize the follow-ups. This way, you aren’t doing it for every single person, but only those that show some level of interest. You can research and add things (like we do) about the services they offer, who they are targeting, other key team members, case studies, client logos being used, etc. All the while knowing you’re not wasting your time, because they’ve already show some amount of interest. 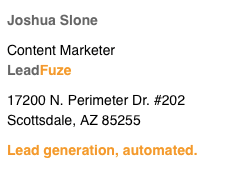 So, if someone registers for your upcoming webinar about PPC advertising, you could use a tool like SpyFu to figure out which keywords/PPC terms the lead is targeting and then start a conversation in a follow up email. Changing up your copy to pull on the emotions more on the numbers is a pretty broad test, but could help you if you’re in a rut in regards to email responses. Maybe you’ve pegged your ideal buyers as pencil pushers, but they may respond better to a bit of an emotional appeal to give your solution a try. 32. Pop Culture/Trend: We’ve been known to throw a sales spin on the political climate, poke fun at popular movies, and even take terms made famous by Presidents (e.g. Fake News). It keeps things interesting. Try it out in your emails. Ok, so the resources you create have pitches in them, right? Subtle or overt, they’re there. And, if you’re doing a good job of creating the best resources, leads will want them. Following that train of logic, wouldn’t it be worth a test not to ask anything of your leads via email? Reciprocity is a powerful tool, and if you truly give something away with perceived value, it messes with peoples brains (in a good way). Since you’ll likely have a way to track whether or not they downloaded and read/watched/used your resource—you’re not losing an opportunity. Here’s a classic experiment about reciprocity. We’ve talked about including offers and hooks into your emails throughout these test ideas. Now, it’s time to give you the list. You may need to put together a fantastic webinar in order to woo leads into clicking through your email. Or, contacts could be overwhelmed by the generosity of sharing a report you whipped up. The cold email signature is often overlooked, but it’s a great spot for ensuring CAN-SPAM compliance as well as allowing you to strengthen your credibility. 35. Sign Off Testing (Best, Cheers, Thanks, etc. ): According to this Forbes post, there are 89 ways to sign off on an email. You probably won’t like all of them, but there are a lot of ideas there. 36. Signature with Vs. without Images: This could either be an image of yourself, or a company logo. Try ’em all and see what sticks. 37. Signature with Vs. without Social Links: Typically, we suggest a sales email without a lot of fluff. You want the focus to be on the offer in the email, not your social profiles. That said, it may be beneficial in some cases. For instance, If you’re selling social media services, leads may want to check out your own profiles. 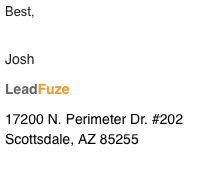 IMPORTANT Disclaimer, to follow CAN-SPAM, you need a physical mailing address… do this in step one and leave the rest of the sequence to name/phone. So you don’t even need your address or opt-out message in ALL emails as long as you have it in your first email and you include that as part of your email. Everyone knows a formal email signature is coming. Something I’ve been trying is to include my short name (Josh instead of Joshua or Josh Slone) before the actual signature. You may think it bulky, but it’s a little more personable IMO. 41. Phone Number Vs. No Phone Number: Pretty self explanatory. You can try your cell number too, which could add some “oh, wow. He/She gave the cell number” value to it. P.S. sections are often the first thing people read and they have a near 100% read rate (if the email is opened). So there is a huge reason to test the Post Script copy and CTA’s heavily. 42. P.S. vs no P.S. : The P.S. is almost a non-negotiable, especially in the first email. It’s really the only logical place to leave an option for the lead to opt out of further emails. But, you could include one in all of the emails, or not. Like the P.S. a P.P.S. underneath is usually read. But it could be overkill, or give too many options and confuse/frustrate the lead. Here’s one suggested test. You have to include an opt out in your first email. We usually say something like, “Prefer we not email you? Let us know!” Since this isn’t part of the CTA of the email, it could be better served in the P.P.S..
We haven’t tested it, but it may be worth a shot. Repeating your CTA is usually a good idea, but testing an second offer can sometimes work. Let’s say your main CTA is a Webinar about maximizing PPC ads. And you also have a worksheet/guide that explains some of the same information. Here’s what your P.S. could look like either way. Here’s another link to the 7 PPC Strategies for 2018 webinar. I really hope to see you there, [First Name]! Webinars not your thing? We’ve put together this worksheet to help you take your PPC ads to the next level. Would love to hear what you think of it! 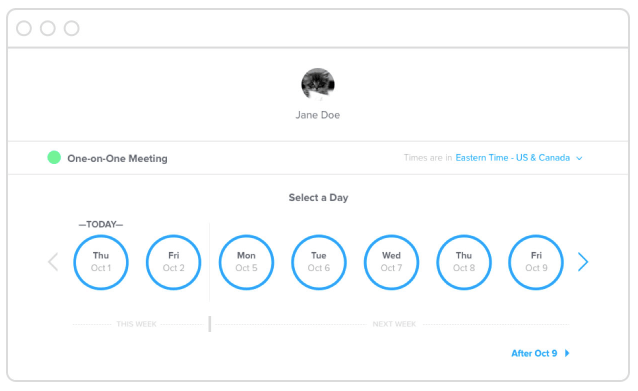 We use Calendly to give leads an opportunity to schedule a call with us on their terms. You just set up the times you want to be available and link it to your calendar. Then, put a link in the P.S. and let Calendly do the rest. It’s all about timing. The main thing in regards to timing, is actually the recipient’s need for your solution at that particular point in time. However, you can get into position for more positive responses by using data to determine your highest chances of success. Data that you get from testing. 46. Test Days: Usually for B2Bs, Tuesday thru Thursday is the sweet spot. But we’ve seen successful campaigns start on Mondays and Fridays. Some things are hard to test without powerful software. Most email marketing software will only give you open rates/click-throughs. But to really narrow down the timing that works the best and generates the most responses—you’ll need to be able to see exactly when people are looking at your emails. This kind of data can really help you narrow that window of when you’re sending and maximize your opens/responses. You know that scene in Troy where Brad Pitt (Achilles) is running towards that giant. He has a shield and the giant throws a spear. Once the spear hits Achilles’ shield, he drops it. Sometimes, your first email is like that. The idea is to draw your leads into the fight. But that only works if they clicked/downloaded. If they haven’t you may have to try putting the same offer with different copy in the sequence, or a different offer altogether. 49. How Many Cold Emails in a Sequence: It usually takes 5-8 touchpoints to close a deal and we suggest a textured approach. This means that you may send a voicemail, interact via social media and email in order to bring a deal together. But how many cold emails are best? Could be any number, but you have to test. The amount of time between emails is pretty important. If a contact sees your first email, but loses track without clicking, they may be more inclined to click if you send them another email 24 hours later. Or, it could annoy too many people and cause your sequence to tank. 51. Including Previous Emails Vs. Not: Along the same lines as using “re:” or not. If you don’t include previous emails, make sure that each email has a link to your offer. Sometimes all it takes to improve your open rate is to try, try again. I’ve seen successful marketers just send the exact same email a day later and get a similar open rate to the first try. This essentially doubles the open rate for that email. But, it would take some intricate number crunching to see if that actually increases the number of conversations. Many more people change up the subject line and keep the same email. Others still just write a new email. Seriously, there are enough email spit test ideas in this post to keep you busy. That said, are there any split test ideas we missed? Is there something you’ve tested that really moved the needle in your opens/click/responses? If so, we’d love to hear them in the comments! Thanks, Pritha! That’s a solid post you wrote. Lots of good tests. Thanks for sharing that with us.